About Chantal D. Message Chantal D.
Private guided tour : Make Montréal yours! Nuestra experiencia con Chantal fue estupenda, total dominio del español y conocimiento de la historia de Canada y Montreal. We had a wonderful day with Chantal. She shared so much information and it was a perfect first visit experience. We felt very warmly welcomed to Montreal. Chantal gave us the most enjoyable tour of Montreal leaving us with the feeling we must return to see and feel more of this wonderful city. We thoroughly enjoyed her attentiveness as well as her sense of adventure with us in the Underground! Chantal did a terrific job of making our tour an enlightening, informative and pleasant experience. She was extremely personable and knowledgable and was receptive to all our requests. Unfortunately, one of our members was not feeling well and Chantal was very sensitive to the situation, trying to help her at every turn. We would definitely use Toursbylocals in the future and would highly recommend Chantal as a wonderful guide. Chantal was enchanting and knowledgeable. She went to extra lengths to make sure our trip was interesting and memorable. We highly recommend Chantal! My girlfriend and I had a wonderful tour of the Montreal underground with Chantal on our recent visit. The underground connects a large number of the buildings downtown and contains food and shopping. It's well worth visiting. Chantal is a great guide with excellent knowledge of the city and is very engaging with her guests. You'll really enjoy this tour. This tour was everything we'd hoped for: a wonderful, knowledgeable guide who toured us through Old Montreal as well as many other surrounding neighbourhoods. We saw so much more of the city in one morning by bike than we ever could on foot! And we are not avid cyclists, but this tour was very doable and the ride was very enjoyable as Chantal is an excellent guide who confidently leads you through the city. The tour was excellent. Chantal was very knowledgeable and informative. A great way to get an introduction and over view of Montreal. She is very flexible in her tour and adapts it to her customers interests, making sure there was little overlap in other plans we had. We would highly recommend her. Chantal was a delight -- she was on time meeting us at our hotel and she rented a very comfortable and spacious SUV for our tour. She gave us a great overview of the city which is exactly what we wanted as this was the first of four days in Montreal before we were to board our cruise ship. Our mobility was limited so she took this into account as we visited different sights. She also gave us some great restaurant recommendations which we explored beginning that night to our wonderment. If there were six stars, I would give them to Chantal. She was knowledgeable, patient, charming and a true ambassador for Montreal. She went out of her way to make sure our tour experience was the best. We actually hired Chantal for 2 days in a row and I'm thrilled we did. Our group of 4 gained such a deeper appreciation for the true history behind Montreal. We felt like we got the inside scoop on what all the locals know and love about Montreal. She also took a lot of stress off our shoulders by knowing all the ins and outs of driving around the city since we needed to rent a car. Again, Chantal was amazing. Don't visit Montreal without her help! This was my first time using this service and I was quite nervous. Chantal and I exchanged many e-mails over several months. She was excellent in helping me narrow down what to do. She was even more delightful in person. Chantal was very patient with our group, which included having my family with 3 languages going at once and adjusting for my mom's varying mobility and energy levels. Her easy going yet incredibly knowledgeable style put us all at ease. 5 stars all the way for Chantal! This was an excellent tour. We were picked up at the airport. Our friends were picked up at their hotel. We not only saw the sites of Montreal but we were given the history of each site. Chantel accomaded all of our needs. Chantal was absolutely wonderful and we would do a bike tour with her again in a heart beat. We arranged it at day before and she was very responsive and professional. It was our family of 4 from Florida and she tailored it perfectly to our requests. She has a great disposition and was a wealth of knowledge. We highly recommend Chantal as we loved her and our day exploring the Plateau, Mile End, Outremont, and Little Italy on bikes with her. She even brought us waters! I took a tour with Chantal on Aug.18th in Montreal. I got my money's worth as Chantal was flexible, knowledgeable and kind. I had difficulty walking and she accommodated me while filling me with information about the architecture and history of many sites. I asked for some tastings which she included. So I wouldn't forget the many places we went, she sent me an e-mail chronicling the tour. She is upbeat and loves her job. I heartily recommend Chantal for a terrific tour of Montreal! My sister and I had the best day in Montreal with Chantel! We had a long layover and wanted to see the highlights of the city-in only 5 hours we got to take a mini walk up the mountain, visit wonderful vantage points of the city and taste the main treats -smoked meat, poutine and bagels not to mention the market! 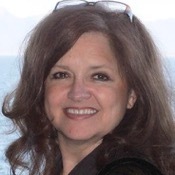 She is a wealth of information and you'll thoroughly enjoy your time with her! Chantal was a wonderful companion for my 3 hour walking tour. She had plotted out an excellent route that introduced me to this beautiful city, giving me lots of ideas for the next couple days. Moreover, we engaged in easy conversation for the entire tour, discussing many aspects of the political, religious, and economic history of Montreal. I learned so much, and enjoyed myself tremendously. Not to mention good restaurant suggestions for dinner that evening. Very much recommended! Our morning with Chantal came at the end of a very active week long cruise and our energy level was not high. She effortlessly accomodated our situation without skimping on the sights or experiences of beautiful Montreal. Chantal—was great. She was easy to work with and very knowledgeable. She was also very understanding of the composition of our group—-seniors. I would definitely recommend her. Chantal was an excellent and super kind tour host guide. My friend and I got to experience the city on a bike tour . I feel that we should have had more time to do touring with Chantal, because she never got tired and was trying to make us feel secure and comfortable. If we were getting tired, she waited for us to relax and slow down. She is always with a big smile and making us feel like if it was our home. I totally recommend Chantal as a tour guide you won't regret it as she is very patient and humble. We thoroughly enjoyed our walking tour of Montreal with Chantal. It was our 1st visit to Montreal and we were a party of three including my mom and my 15 year old daughter. Chantal was prompt and met us at our hotel. She tailored the tour based our our input. We could not have asked for a better time in Montreal and Chantal made it memorable. I look forward to returning to Montreal and seeing the underground city in depth with Chantal as our guide. Holiday weekend in Montreal started right on time. Chantal was able to deliver exactly what we wanted. Her interest in the city she loves but also genuine interest her client requests made for a special day. If you need more than walk, point and click than Chantal is your lady. PS. Chantal also took time to provide tips and discuss options for the rest of our holiday. She guided us through the underground city and helped us understand the myriad stores and services available. If you explore this site, get a guide as it is very easy to lose you way and end up somewhere else. She was such a terrific guide we took her to lunch when the tour ended so we could continue our learning about Montreal. Terrific guide, great knowledge, enjoyable to listen to her describe the many places we saw in Old Town. Used her again the next day. We got to see a lot of the historic areas of Montreal with a couple of stops for us to see the sights and take a few pictures. I was very pleased with the ability to get the tour set-up through "Tours By Locals" and with Chantal in particular. Chantal was wonderful to work with and made the stressful situation of the plan change easy to deal with. She gave us a wonderful tour and it was so nice having a person with local experience providing so many interesting facts and information about the city. A wonderful tour of Vieux Montreal! 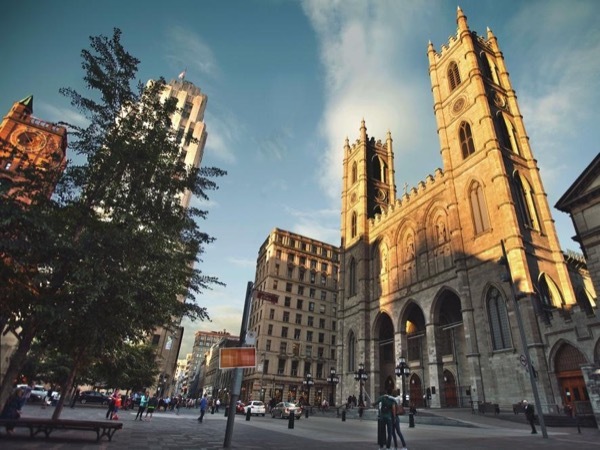 A great way to get an overview of the history of Montreal while seeing the sites. Chantal was charming and happily adjusted our start time to accommodate my schedule. Another successful ToursbyLocals experience in a foreign country. Even though it was cold and windy our guide bicycled with us and shared with us montreal's history and architecture. Chantal was informative accommodating with our schedules and just great fun to be with for 3 hours! Chantal gave a fantastic tour to our group in Montreal. She was right on time picking us up, and had a spacious and modern SUV to take us around. Despite being a rainy day, we got to see the city in comfort. Chantal had lots of information and history to share, and we all learned a lot about Montreal. We had seen a few sights in the city previously, and she adjusted our itinerary accordingly. She was also kind enough to bring some snacks along, just in case we hadn't had time for lunch. Thanks Chantal! We give the highest rating to Chantall. She really knows her stuff and is a pleasure to spend the afternoon with. Her tour made all the difference for our stay in Montreal. Without it, we wouldn't have appreciated the city like we did. Highly recommend Chantall! Chantal was a great guide! Very knowledgeable regarding historical facts. She also made some suggestions for us regarding things to see and do later in the week that were very helpful. We would all recommend Chantal as a tour leader. Chantal went beyond what a normal tour guide would do. It was my wife's 49th birthday and together we put together the perfect day for her. Chantal assisted with restaurants, photographer, even entertainment for our lunch near the St Lawerance. Chantal arranged for a birthday cake and built a special bond with my wife. On our next trip, we hope to take Chantal out for dinner. As she is now like family! My wife's 49th is one of her all-time favorite birthday's thanks to Chantal. Chantal gave us a very well organized tour of the city within the time that we had. She is extremely knowledgeable and obviously passionate about the city. Although we were OK with the tour being in English, it was a pleasant surprise that she dominates Spanish as well, which is our first language. She kept a good paste, but at the same time was willing to slow down when we required for pictures or just admiring parts of the city. Chantal was outstanding in every respect. Extremely knowledgeable, flexible and excellent English skills. El tour que hicimos con Chantal fue una caminata por el viejo Montreal, conocimos un poco de la historia de la ciudad y además, habla muy bien español. Muy recomendable!!! We all very much enjoyed the tour of Montreal and especially Chantal's insight into the city now and in the past. Despite the rainy weather Chantal was undaunted in her quest to provide an informative and friendly experience for us and we greatly appreciated it. Catching a bit of the DeGaul event and having a chance meeting a local Montrealer and world traveler who is recently back from decades in China as an immigration attorney was great as well.